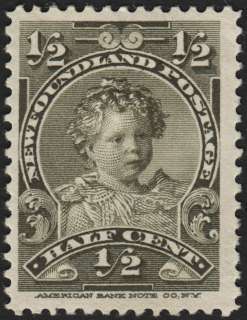 Newfoundland 1897 Scott #78 / SG #83 - Olive Green, a very young Prince Edward called David (later King Edward VIII) as a child. 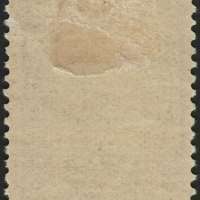 this is the very first stamp portrait of Edward, first son of George and "May". Edward was King of the United Kingdom from January 20,1936 until his abdication on December 11, 1936. Edward (1894-1972) had been Prince of Wales since his sixteenth birthday, and had been next in line for the throne for 42 years. The big events of 1897 were the 60th Anniversary of the Reign of Queen Victoria and the 400th Anniversary of the discovery of Labrador and Newfoundland. The 14 impressive looking commemorative Newfoundland stamps shown directly below were issued onJune 24, 1897 to commemorate both of these anniversaries.